Avana Westchase is one of the most desirable luxury apartment communities in Tampa Florida.  Ideally located on Tampa’s prestigious west side, Avana Westchase is centrally located for work, play and family living. Live in a highly rated school district with the Citrus Park Mall less than 6 miles from your apartment, 13 miles from Tampa International Mall, less than 18 miles from downtown Tampa and about 19 miles from Tampa’s beautiful beaches. Westchase’s "Main Street USA” retail destination including 4 anchor stores, 120 specialty stores and a Regal Cinemas multiplex theater. Shops and dining include Dicks Sporting Goods, Dillards, Macys, BJ’s Restaurant & Brewhouse and Johnny Rockets. Enjoy a night at the movies with recliner seating, IMAX, RealD 3D and online food and drink ordering. Minutes from Avana Westchase, AMC 24 Cinemas offers fun for all ages! The “Ray Jay” is located 20 miles from Avana Westchase and home to the Tampa Bay Buccaneers as well as the NCAA's South Florida Bulls football team. Enjoy football game, concert of your favorite band just minutes from your home. Tampa Bay Downs is an American Thoroughbred horse racing facility located in Westchase, FL. Tampa Bay Downs, the only Thoroughbred race track on the west coast of Florida, has live racing action, simulcasting, poker, as well as golf at The Downs Golf Practice Facility.